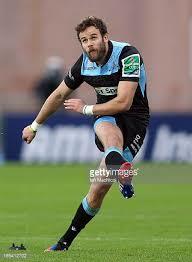 Ruaridh Jackson, Glasgow Warriors and Scotland stand off and fullback to join Accies coaching team. The Club Head Coach Andy Jackson (no relation) is delighted to announce that Ruaridh Jackson will be joining Accies as the backs coach for season 2019/20. Ruaridh will bring a great deal of experience and knowledge to the side and will be joining his pal from Warriors days, Ryan Grant. He has experience in both the Scottish and English Pro Rugby game over the past 11 years, as well as his 33 Caps for Scotland. Ruaridh started his rugby career as a stand-off but moved to fullback where he playes today for the Warriors. I know that the players are all delighted at the prospect of learning from Ruaridh.